we aim to use the first 200 words. proofs are only issued on request and may delay the process time. we aim to use the first 200 words. proofs are only issued on request and may delay the process time. (required)Yes. Proceed with my order. we aim to use the first 200 words. proofs are only issued on request and may delay the process time. (required)Yes. Proceed with my order. we aim to use the first 200 words. proofs are only issued on request and may delay the process time. (required)Yes. Proceed with my order. we aim to use the first 200 words. proofs are only issued on request and may delay the process time. (required)Yes. Proceed with my order. 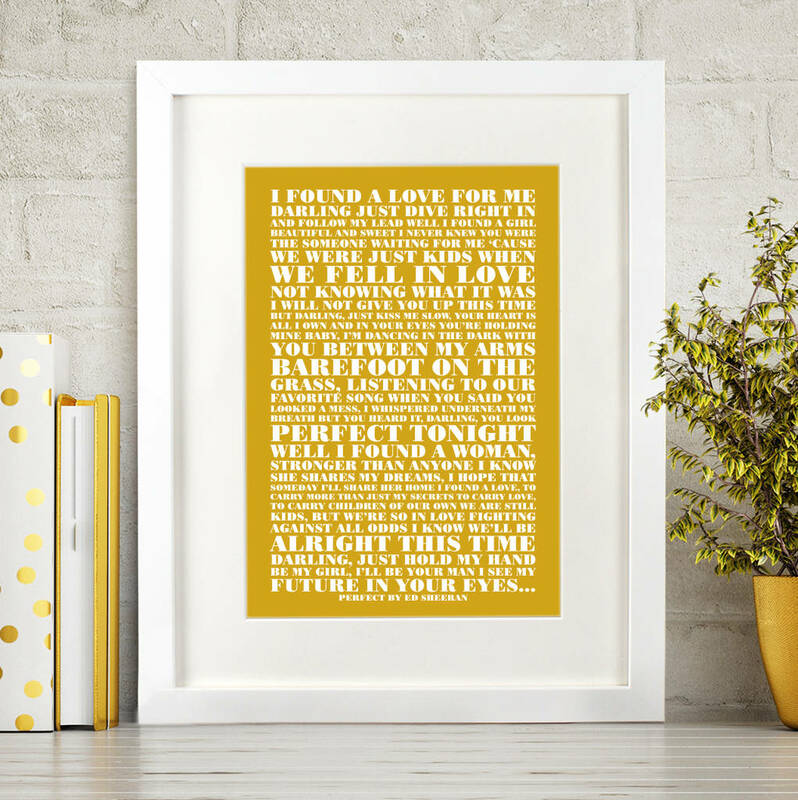 Here’s your opportunity to get your favourite words transformed into a stylish print that looks great when framed, and makes a real focal feature. 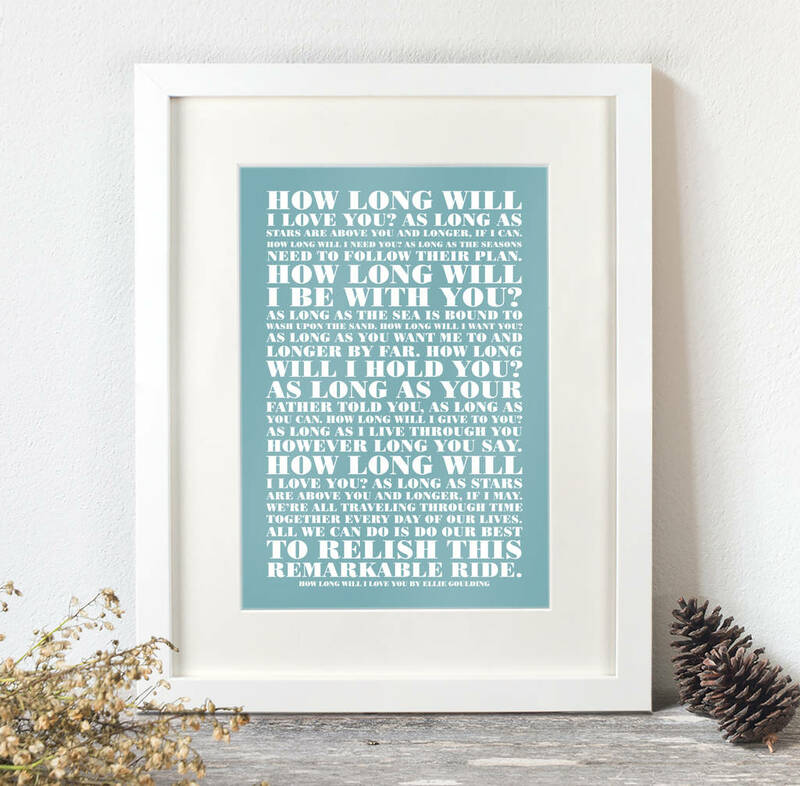 Whether it's a family member's favourite song or a reading from your wedding, this product creates the perfect keepsake as well as a great gift. Please ensure after ordering, you go to your NOTHS account and go to 'my orders'. Select this order and click the 'Contact Seller' link. You can then send us your words by copy and pasting them into the space provided. We will only include the artist/song title if clearly provided. 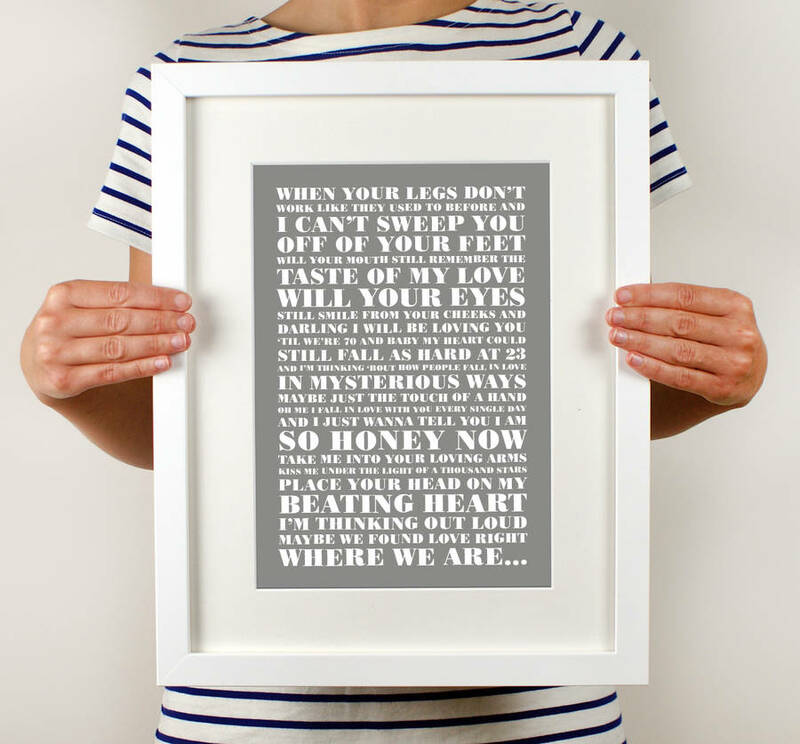 This will be added in smaller text, centred at the bottom of the print underneath the lyrics/words. Please note; We need to use your words to fit our artwork file, therefore we won't use the layout that you have provided and will need to break and join up your words. We aim to use 200 words for A4 size. Contact us if you wish to use more words on larger sizes. 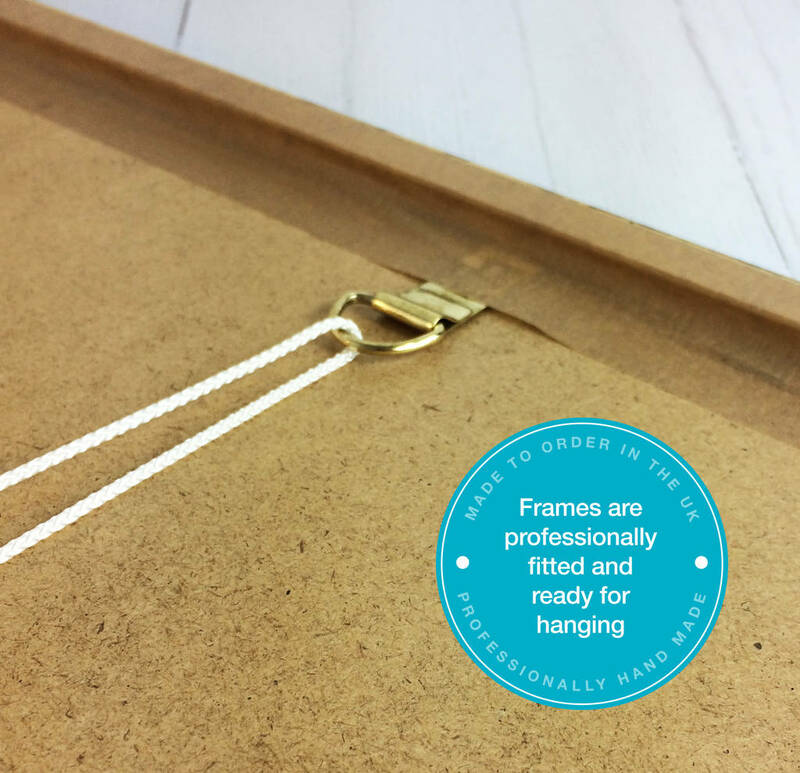 Frame/canvas orders are excluded from Express delivery as they are hand made and made to order thus the dispatch time is longer. All prints are available framed in three finishes; oak, white and black. 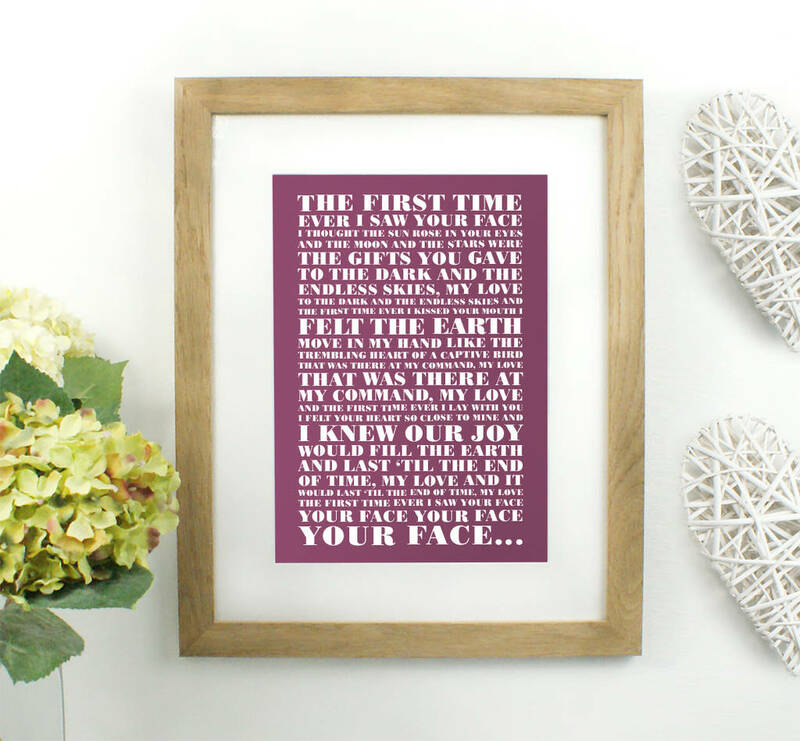 Our hand made 2.3cm frames are made to order in the UK by qualified frame makers using quality pine wood. 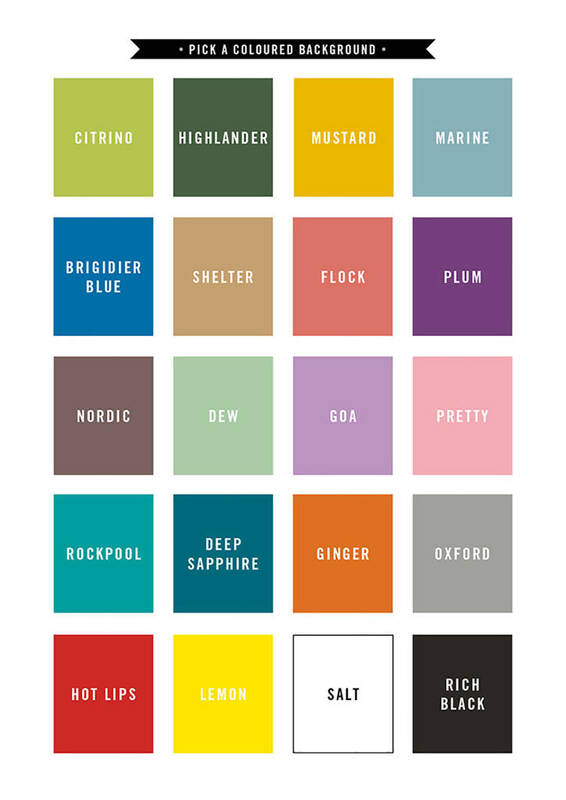 Our canvases are Fuji Artist White 340gsm cotton canvas and printed using Epson Ultra Chrome HDR pigment inks. Frames are made from real pine wood and are 31mm deep. 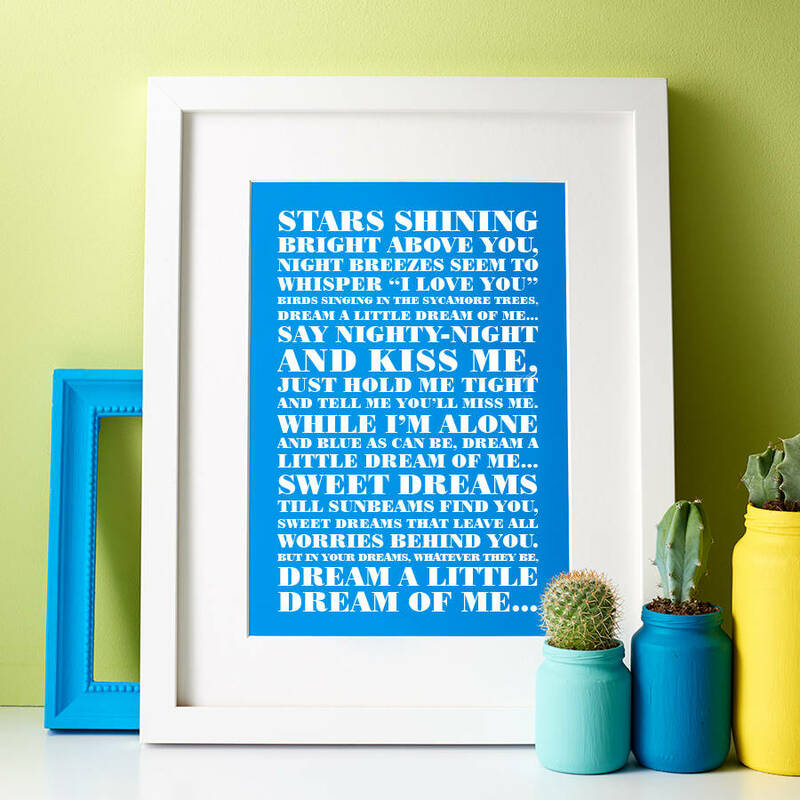 Frames/Canvases are only available for UK delivery and exclude Northern Ireland, Scottish Highlands, Isle of Man, Isle of Wight and the Channel Islands. 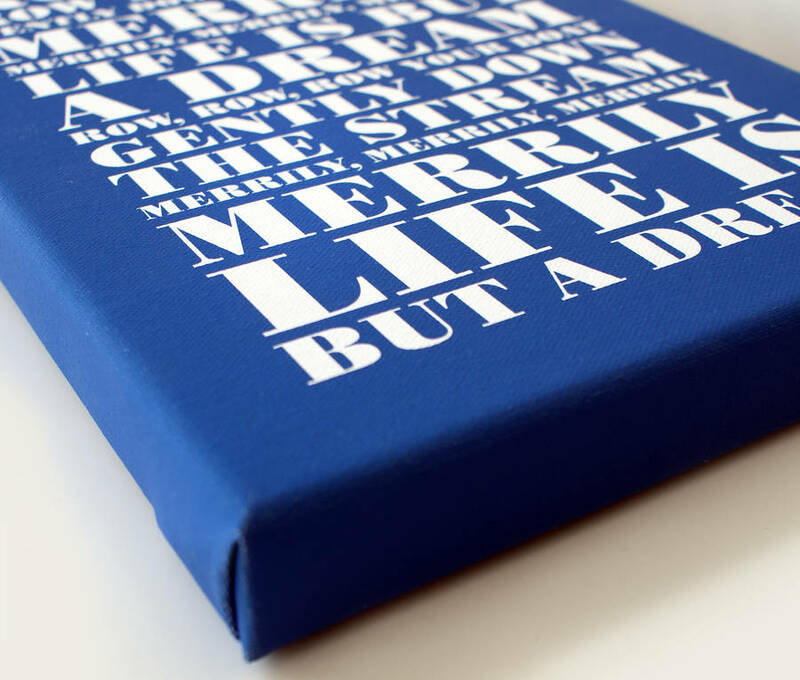 Each print is made to order using 200gsm lustre paper and printed using the finest inks. All A2 and A3 prints are carefully rolled into parcel tubes, where as A4 prints are sent flat in card board envelopes.